For the last 2-3 years we have been intrigued by the High Fidelity Cables brand and their unique approach to preserving the focus and precision of the audio signal through the use of what they call "magnetic conduction." High Fidelity Cables' designer describes magnetic conduction "...as a new, patented form of conduction implementing specially arranged magnetic fields to concentrate the signal within the conductor. The electrons of the audio signal have a quantum spin which gives them their "magnetic moment" or charge. It's this charge which allows the electrons to react with magnetic fields. So if we use a magnetic conductor instead of a regular conductor, we can guide the electrons (the audio signal) through the conductor in a very precise way to reduce distortion and signal loss." For more on the technology, take a look at this video from our YouTube Channel. 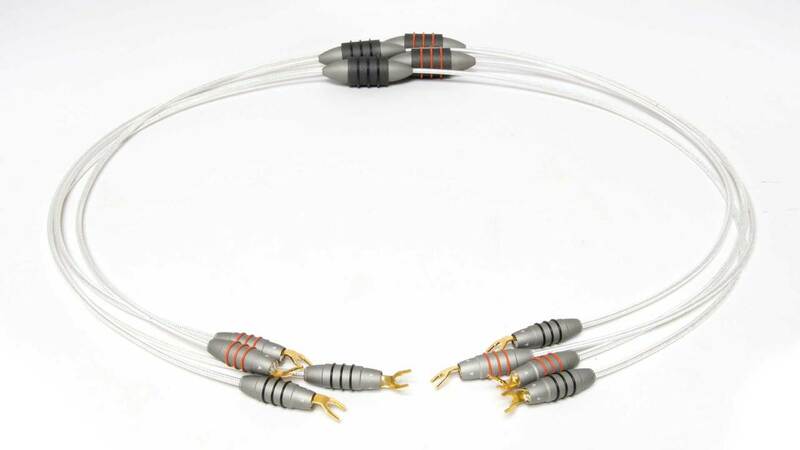 The first implementation of the High Fidelity Cables consisted of 3 levels of speaker, interconnect, power and digital cables - the CT-1, the CT-1E, and the CT-1 Ultimate. While they were enthusiastically reviewed by the press, and also in house by The Cable Company, they are undeniably expensive. The head honcho at High Fidelity Cables, Rick Schultz, realized that the high cost of his cable designs needed to be addressed, so he went back to the drawing board and started with a clean slate. The result is a whole series of new cables called "Reveal". As a further measure to keep the costs affordable for the user, he added in skinnier than usual margins, both for the manufacturer and for the dealers, ending up with a quasi "direct price" - something of a gift for the audiophile! We had received an early production sample of the Reveal RCA Interconnects ($699/1m pair) in December and were bowled over by their level of performance. To our ears they actually sounded better than the more expensive CT-1 Interconnects ($1600/pr), and performed at or near the level of the CT-1E Interconnects ($2800/pr). The performance/cost breakthrough relates to a new implementation of the Magnetic Conduction technology. In this Reveal design the magnetic modules are located in the middle of the cables in a push/pull array, rather than at the connectors, which allows the Reveal cables to be produced at a much lower cost, but without compromising the higher levels of performance that were delivered by the upper models in the original series. And by locating the magnetic modules in the middle of the cable, it is now also possible to produce a balanced interconnect, Reveal XLR ($999/1m pair). 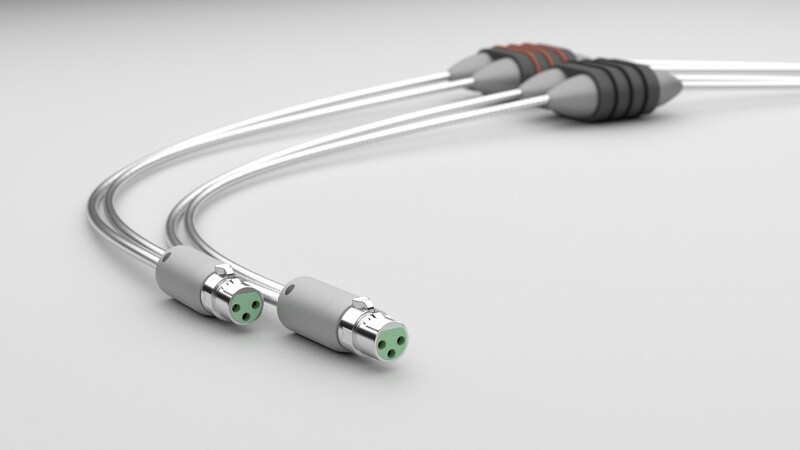 XLR cables had proved problematical in the original design approach because of the need to build the technology into the connectors. 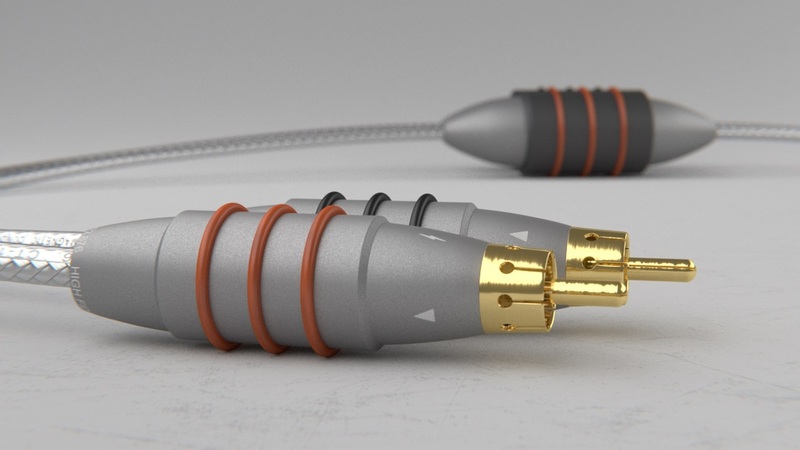 The Reveal XLR cables are coming soon - we have not had a chance to listen yet - but the word from the designer is that they are every bit as successful as the RCA interconnects. We found the Reveal Speaker Cables (from $999/1m pr) to be a fine complement to the interconnects. The Reveal Digital Cables ($399/1m) may also prove to be a breakthrough product at their price (certainly worth testing in your system), and we are excited to also be getting in the soon-to-be-delivered AES/EBU digital cables ($549/1m). 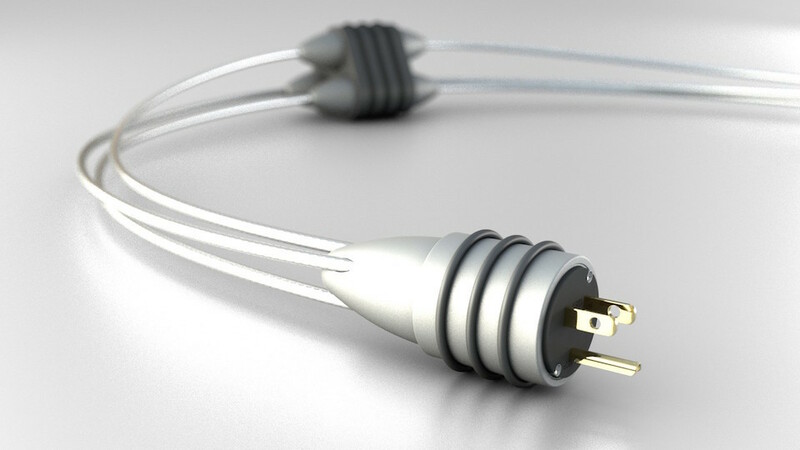 Many of our customers have already experienced the positive effects of the magnetic conduction technology on their AC powerlines by way of the MC-0.5 Module ($299). Very effective for both audio and video, and still the easiest and least expensive way to discover Magnetic Conduction at home. 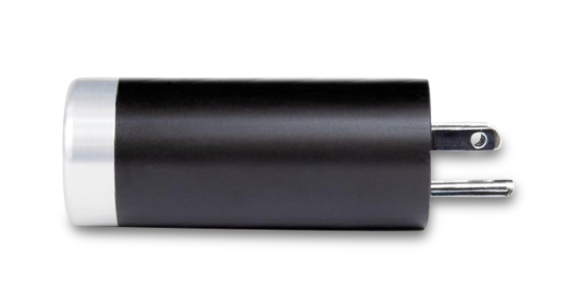 The Reveal Power Cord (from $999/1m) further develops and enhances this powerful effect, and to such a degree that it may in fact be the Grand Slam from among the "extra base hits" that we feel constitute each cable in the Reveal cable series. One caveat on the power cables however: these are LARGE connectors. We struggled to stack two next to each other in the same duplex outlet, although one of these together in the duplex with a different power cord was not too bad. We have a full compliment of the new Reveal Cables in our Cable Library for home audition/evaluation. These are MUST HEAR cables in the under $1k category, and punch well above their weight class. Compare them to other contenders on your list. While there may be no such thing as a universal cable for every system, you may just come away as enthused as we are! Headphone and Component specials from HiFiMan, DSPeaker, Rogers High Fidelity, System Audio, and PS Audio. Isolation platforms and footers from Fo.Q, Voodoo Cable, and Symposium Acoustics.